Sally Jo Boozer, 81, passed away Monday, November 21, 2016. She was born November 26, 1934 in Knoxville, Tennessee. She was a member of the Kingdom Hall of Jehovah's Witness. She loved gardening, sewing, cooking, her computer work, and listening to music. Most of all she enjoyed pioneering for Jehovah's Witness. She was preceded in death by her father and her mother Ernestine Brown; her husband Clarence Boozer; one son Larry Boozer; one grandchild Felicia Boozer, and several of her brothers and sisters. 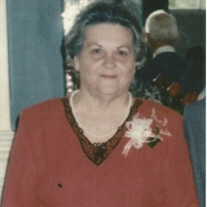 She is survived by her daughter Sheila Herekamp and her husband Donald; three sons: Everett Boozer and his wife Janice, Carlton Boozer and his wife Beckie, and Tim Boozer and his wife Judy; one brother Jerry Bailey; one sister Ruth McClure; ten grandchildren; 25 great grandchildren; one great-great grandchild; and a host of other relatives and dear friends. Visitation will be Saturday November 26th from noon - 1 PM at the Willis Funeral Service Chapel. Graveside services will follow immediately after the visitation at the Kyler Cemetery in Southside with Bro. Mark Harmon officiating. Honorary Pallbearers include: Brandon Boozer, Adam Boozer, Bryan Boozer, Eric Boozer, Shannon Boozer, and Dylan Herekamp.